Oxygen and glucose (OGD) deprivation is one of the most important pathogenic mechanisms in cerebral infarction and is widely used as an in vitro model for ischemic stroke. OGD also damages neural stem cells (NSCs), which are important in brain recovery after cerebral infarction. To enhance recovery, there have been many studies aimed at determining methods to protect NSCs after stroke. 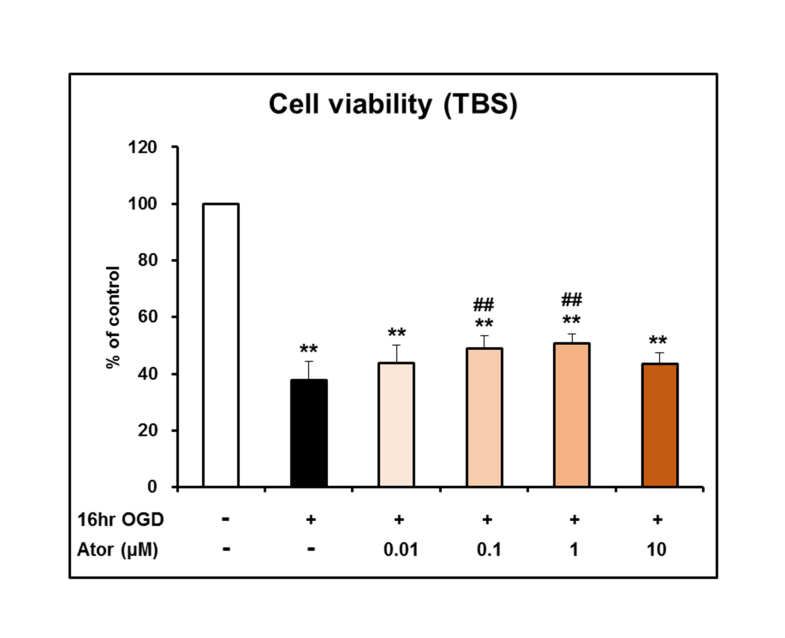 Because atorvastatin has diverse protective effects on neural cells, we studied whether it could rejuvenate NSCs injured by OGD. 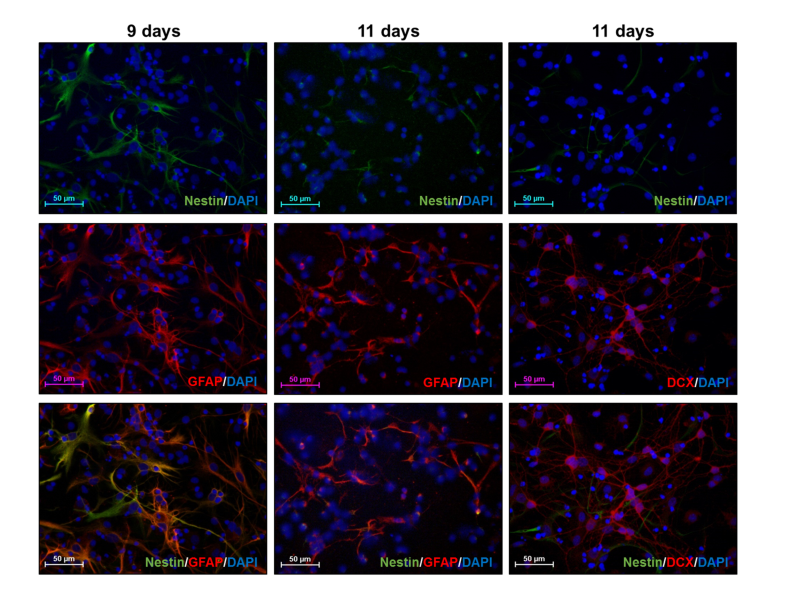 Primary cultured NSCs were exposed to OGD for 8 h, and the main characteristics of stem cells, such as survival, proliferation, migration, and differentiation, were evaluated to confirm the effect of OGD on NSCs. Next, cells were treated with various concentrations of atorvastatin with exposure to OGD for 8 h to confirm whether it could rejuvenate NSCs. OGD significantly affected the survival, proliferation, migration, and differentiation of NSCs. However, treatment with atorvastatin meaningfully restored survival, proliferation, migration, and differentiation of NSCs. These beneficial effects of atorvastatin were blocked by treatment with either a PI3K inhibitor or an ERK inhibitor. In conclusion, OGD damages NSCs and causes them to lose the main characteristics of stem cells so that they cannot contribute to brain recovery after cerebral infarction. 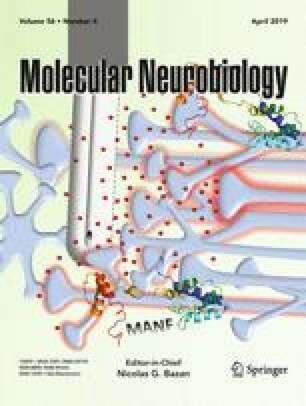 However, treatment with atorvastatin after cerebral infarction can effectively rejuvenate NSCs through activating the PI3K and ERK pathways to aid in brain regeneration. Na-Young Choi and Ji Young Kim contributed equally to this work. The online version of this article ( https://doi.org/10.1007/s12035-018-1267-6) contains supplementary material, which is available to authorized users. This research was supported by the Basic Science Research Program of the National Research Foundation of Korea, which is funded by the Ministry of Science, ICT, and Future Planning (2018R1A2A2A15023219); by a grant of the Korea Health Technology R&D Project through the Korea Health Industry Development Institute (KHIDI), funded by the Ministry of Health & Welfare, Republic of Korea (grant number: HI17C2160 and HI18C1254); by the Medical Research Center (2017R1A5A2015395); and by the Science Research Program through the National Research Foundation of Korea, which is funded by the Ministry of Science, ICT, and Future Planning (2017R1C1B5076630). All animal procedures were conducted in accordance with Hanyang University’s guidelines for the care and use of laboratory animals and were approved by the Institutional Animal Care and Use Committee (IACUC) of Hanyang University.